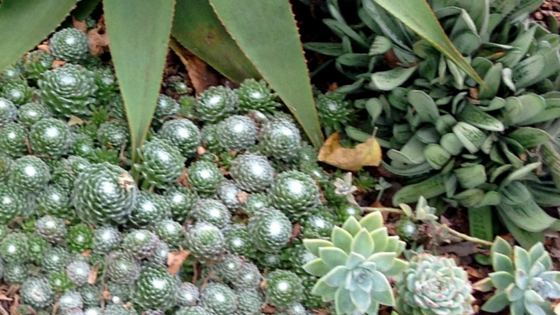 California is already enjoying the full onset of El Niño and many may not know that this cool, wet season is an excellent time for a sustainable garden facelift. Here are some tips from Smart Yards Landscape Expert - Elizabeth Sarmiento to help you prepare and make the most of this bounty! Mulching To The Rescue – Brown lawns may end up muddy and weedy as rainwater collects over dead vegetation. A thick layer of mulch will keep the mud and weeds away. Sheet mulch using cardboard, newspaper or burlap and then cover with wood chips.California Natives – El Niño gives you an excellent opportunity to start a new garden. California Natives are naturally adapted to the local weather conditions and seasonal changes. The best time to plant them is winter as they are primed to grow in the moist cool seasons of winter and spring. Native plants slowdown in growth or go dormant in summer to conserve water, planting them in summer makes them seasonally confused as the heat makes them dormant and irrigation water tells them to grow. Stabilize Your Slopes – Plant some drought-tolerant natives to your steep hills and slopes to stabilize the soil, avoid erosion and runoffs from your landscapes. The cool, wet season is ideal to establish these wonderful plants as they develop a healthy root system, grow and store energy for the hot, dry months when they start going dormant. Use native seeds on your slopes for immediate and maximum coverage. Winter Vegetables & Succulents – In winter your succulents and winter vegetable may drown or rot with the heavy rains. Plant them on raised beds or elevated rows and focus on drainage. If the water percolates down rapidly, your plants will be able to handle heavy downpours. Mix small rocks and perlite into your soil to improve drainage. Rain Gardens – Infiltrate more water into your landscapes by installing dry swales, dry well or a rain garden. Instead of having runoffs, these simple techniques will let water infiltrate into the ground and sustain trees, shrubs and other long-rooted plants well into the dry season.